Ah, now I see. I was also confused about the idea here. 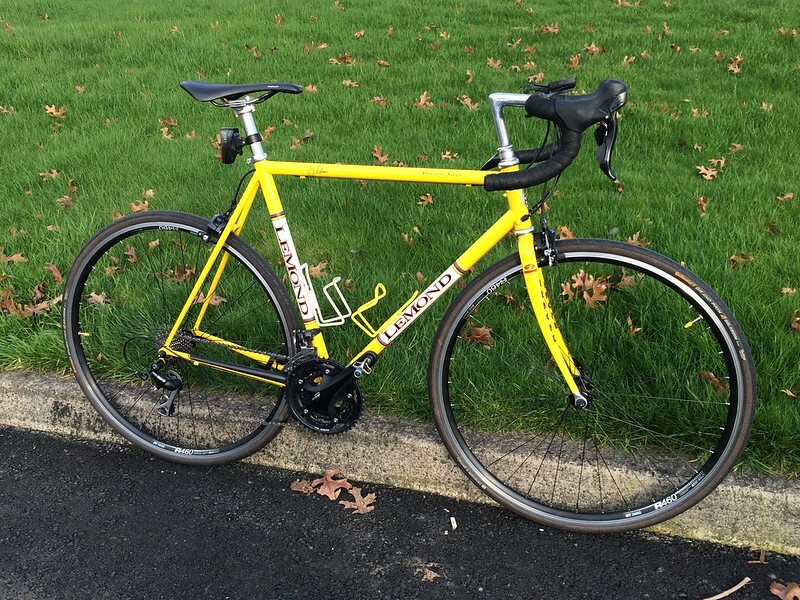 My newest bike that is still pre-2005 is my 2001 LeMond Buenos Aires. I've updated this to more modern components (Shimano 105 5700 series) but I think this bike still has the feel of a classic/vintage bike, at least showing kinship with bikes of the 80's due to it's steel tubes and threaded headset. 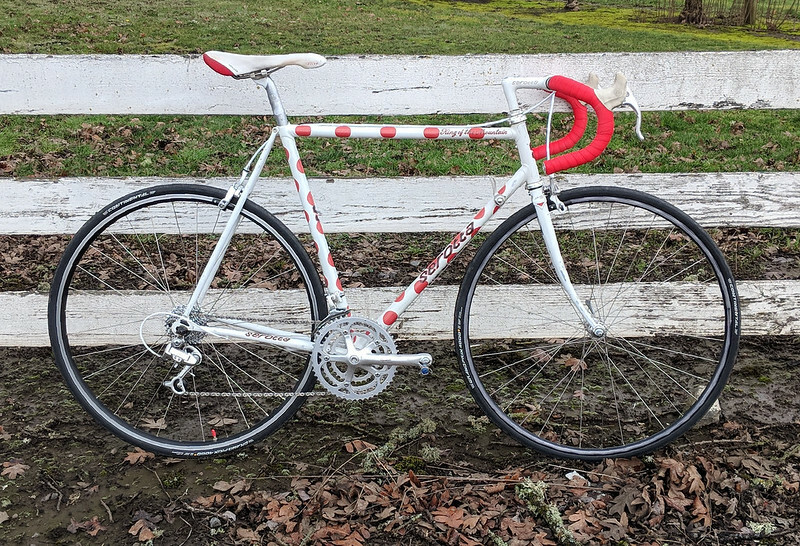 It was a mid-to-entry-level LeMond, but still sports Reynolds 853 main tubes and a carbon fork (made thin like a steel fork, which probably should scare me more than it does). The head-tube mounted cable stops and oversized downtube preclude downtube shifters. I think this originally had 5500 series 105 components and was even available with a triple crankset, so I've maintained continuity. Approaching from the other end, my "most modern" bike than is actually vintage with an almost period-correct build while picking up newer features is my 1987 Serotta Colorado with 8-speed indexed downtube Campy Veloce shifters and Serotta's ahead-of-its-time Colorado Concept tubing. I indulged a bit in the brakes, jumping forward to Potenza dual-pivot calipers. This bike had first generation Syncro shifters when I got it, so the update to Syncro II Veloce shifters was only a small step forward. Let's not talk about the triple crankset on a bike with KoM colors.